The object of the game is to collect as many scarves as you can for your giraffe, and the winner is the giraffe with the most scarves at the end. 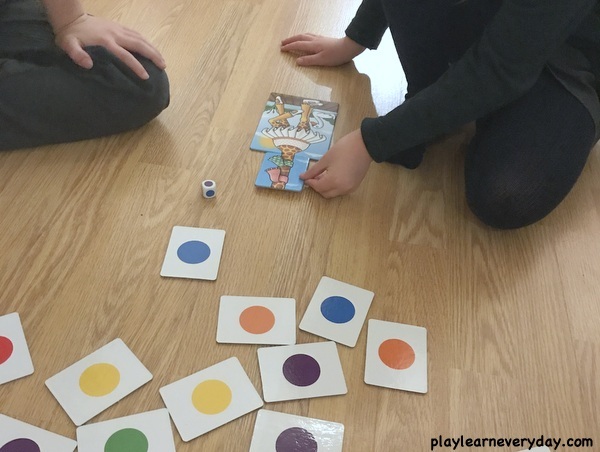 Each player chooses a giraffe body and you all take turns rolling the colour dice. 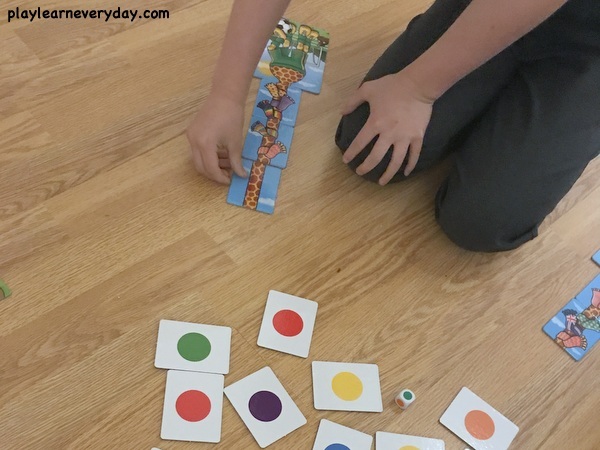 Whichever colour you roll is the colour card that you pick up and place on your giraffe. Some of the giraffe neck pieces have no scarves on them, others have one, two or three scarves. Some of the pieces have the giraffe heads on them, so if you happen to pick up a piece with a different giraffe head then play goes to the next player. When you happen to pick up the giraffe head that matches with your giraffe body you then put it on the top and can no longer collect scarves. The game ends when everyone has their matching giraffe head and body with at least one neck in between. Then all of the players count up their scarves to see who has the most. 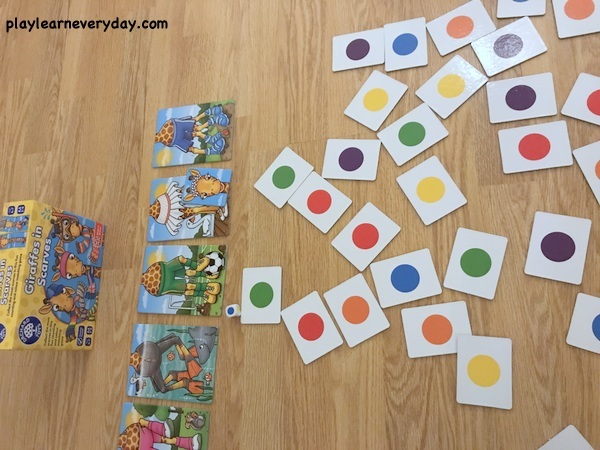 It is a great game for colour recognition, counting and of course turn taking and fair playing as do all of the Orchard Toys games. 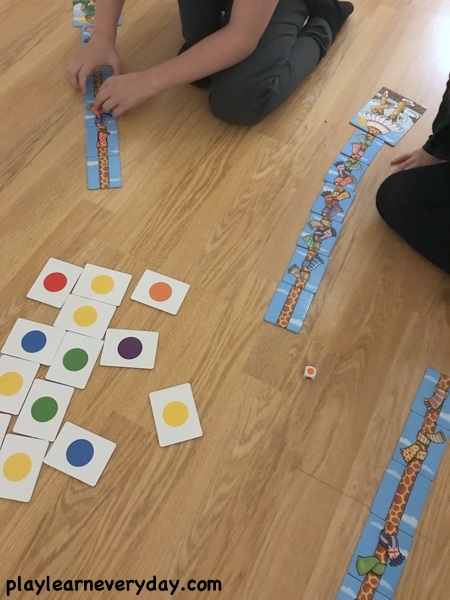 Both Ethan (7) and Ivy (4) are really enjoying playing Giraffes in Scarves, it's a simple enough game for them to learn the rules too but also quite different to other games that we have so it is keeping them entertained on rainy afternoons spent indoors!